Once I saw that topic I couldn't shake the thought of a lightsaber hand. 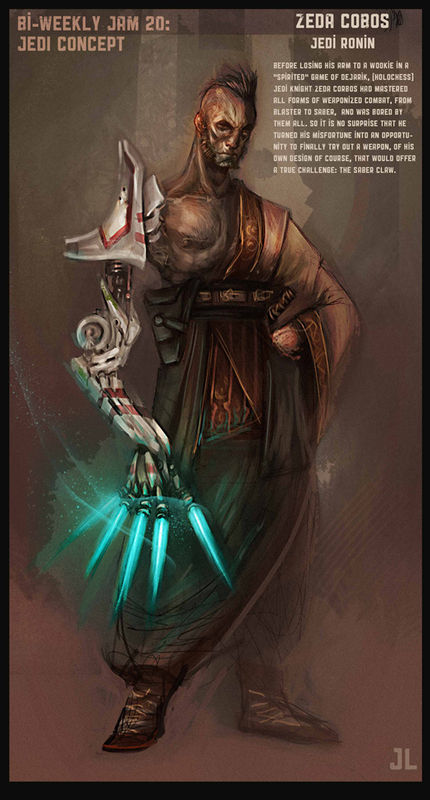 I wanted to go for a Toshiro Mifune style Jedi Ronin, wandering the solar system looking for a good gamble or a village that needs saving (for the right price). pretty sweet homey!! That saber claw will cut you up!!!! Im pretty sure I will do the next one after seeing this!!! haha.. this is great parce. Still not sure why this high profile site would have a name so close to "Chub." But this piece is exceptional, Jorgito.